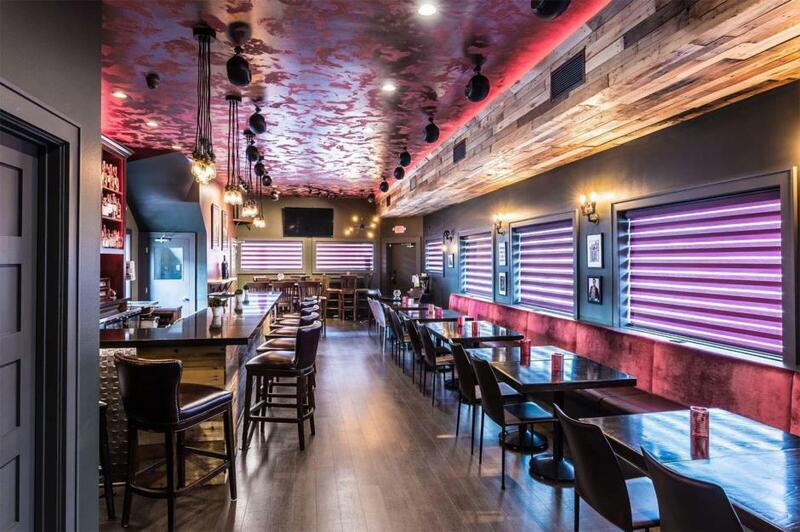 With so many restaurants opening, it can be hard to keep track of the best new venues. Thankfully Yelp is here to help. They've revealed the top-rated and most reviewed restaurants that opened in every state last year. Read on to find out where you should be eating in 2018. 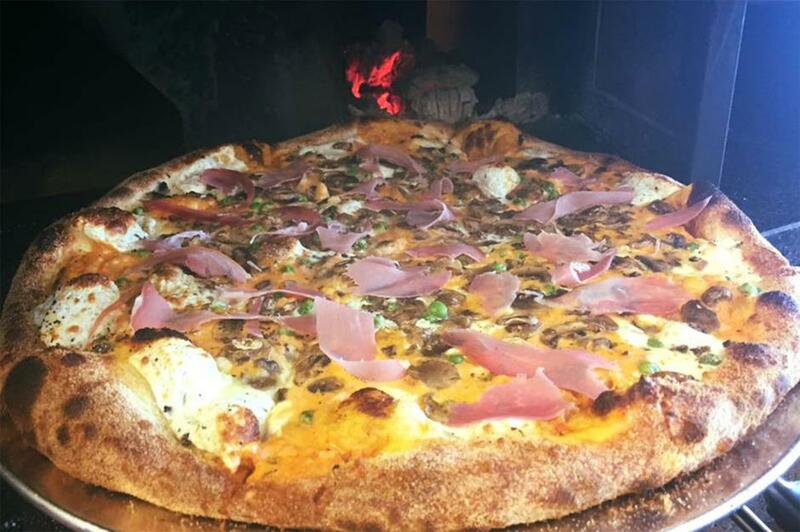 The Forge Pizzeria serves gourmet pizzas straight from a wood-fired brick oven. Along with classic pepperoni and four-cheese toppings, their speciality – the pizza à la vodka (pictured) – is covered in a vodka sauce, fresh mozzarella, mushrooms, peas and prosciutto. This unusual combination has received some high praise on Yelp, where customers have awarded the Foley restaurant a five-star rating. 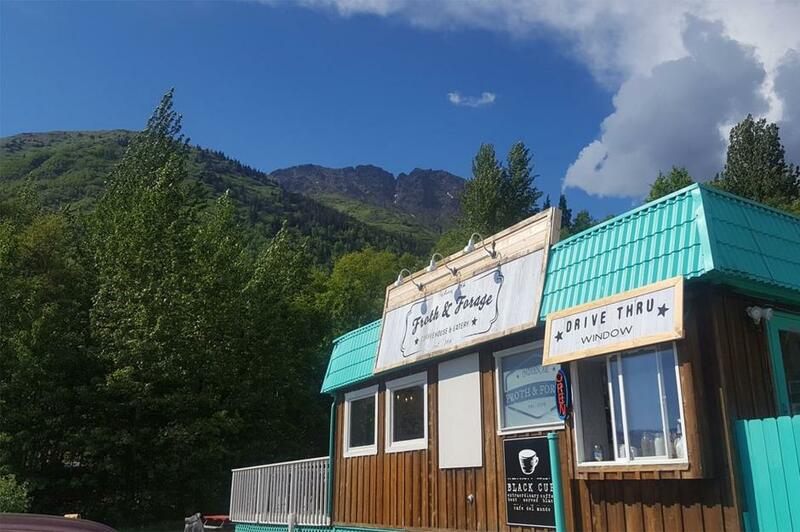 The eco-friendly Froth & Forage Coffeehouse and Eatery in Anchorage is owned and operated by chef Zachary Reid, his wife Michelle and daughters Alana and Jayln. They're passionate about supporting their community, and their brunch and dinner menus burst with fresh, local ingredients. Stand-out dishes include the forager’s benedict, made with local farm eggs, and the Alaskan-raised beef tenderloin. Located in San Tan Valley, Lola Empanada serves Latin fusion food including (of course), empanadas. 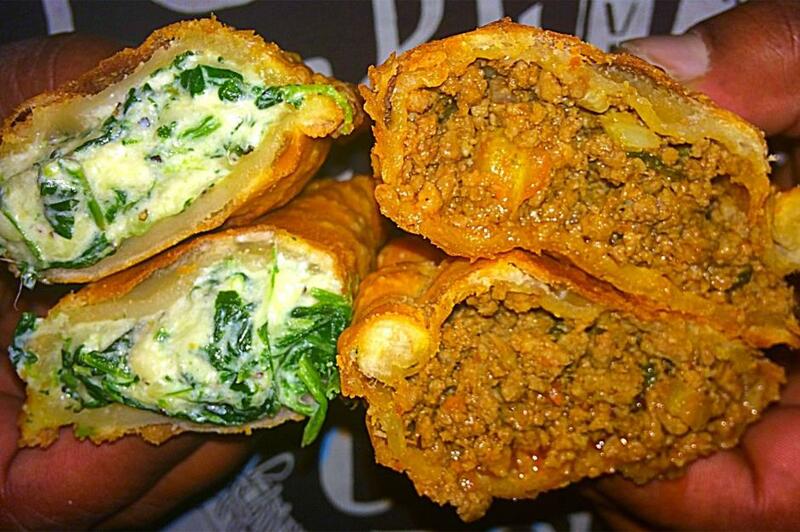 Fillings for these deep-fried pastries include ricotta and spinach or spicy pork along with sweeter options such as raspberry and Nutella. Customers rave about the fresh ingredients, great vegetarian options and super service. 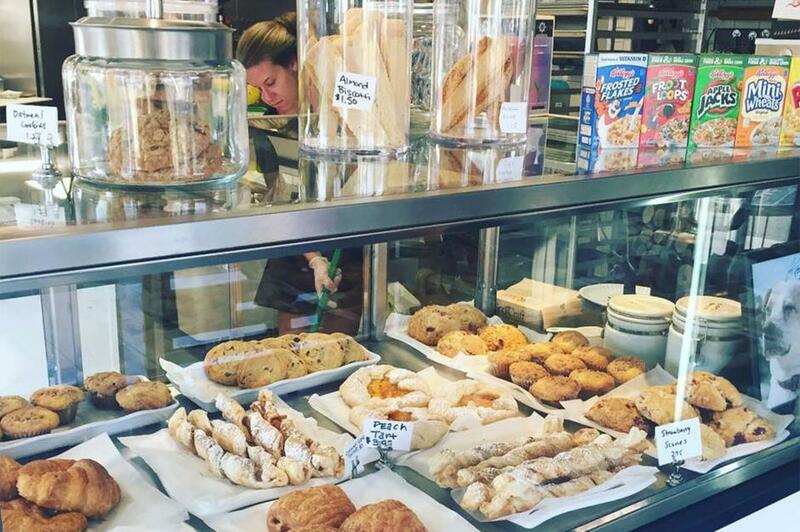 For New York-style bagels handcrafted in Bentonville, head to Ozark Mountain Bagel. 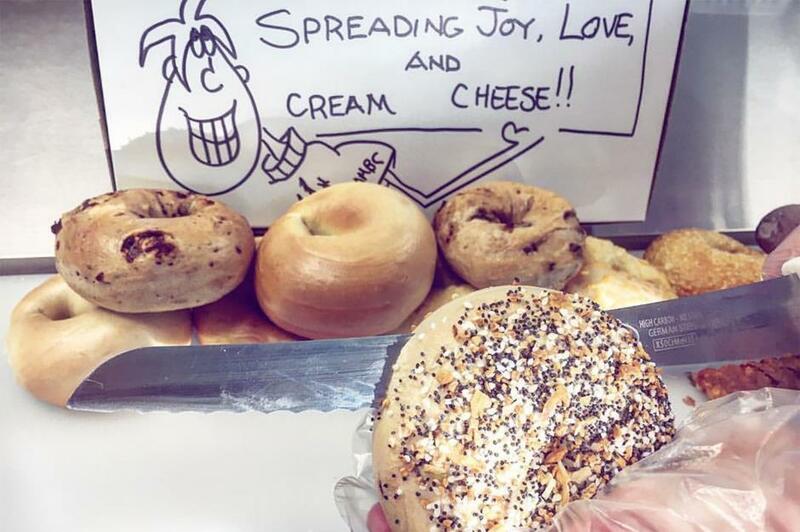 Owners Bill and Sheila Ford launched the bakery with a mission to 'spread joy, love and cream cheese'. An instant hit with customers, Ozark’s offers seventeen varieties of bagel including spinach parmesan, cinnamon raisin and blueberry, along with plenty of fillings, from classic cream cheese to peanut butter and jelly, avocado and pulled pork. 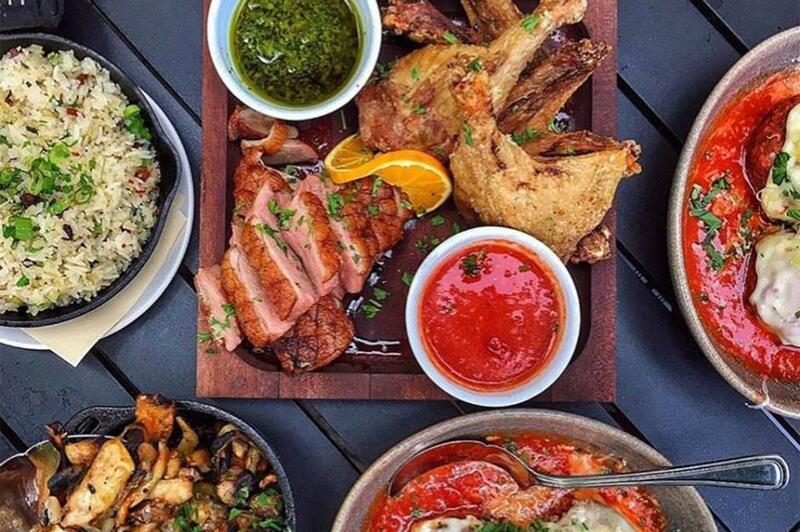 Strada Eateria & Coffee in downtown Los Angeles offers a range of colourful, Instagram-worthy dishes inspired by world cuisine (but made with local ingredients). Stand-out menu items include the 'nomad' sandwich with paprika-smoked pork belly, the ceviche de poke with Alaskan salmon, Turkish coffee and the range of charcuterie platters. Located at the King Edward Hotel, Strada also showcases regular art exhibitions. This five-star-rated diner specialises in seafood. It’s also completely gluten-free and offers a range of vegan options. Diners mix their own dishes from a choice of proteins, grains, greens and toppings. Sustainably sourced fish options include salmon, octopus, cobia and barramundi. 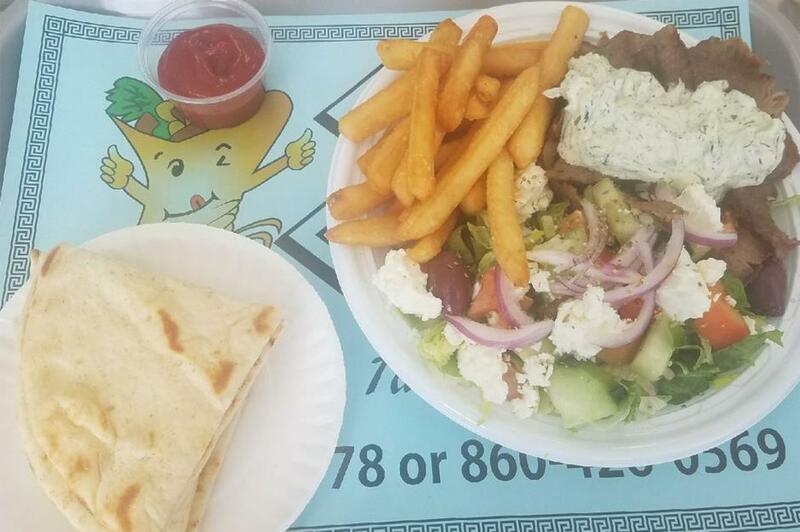 The Crazy Greek is the place to go for fast, fresh and authentic Greek food in Plantsville. Open since April 2017, the diner has racked up plenty of excellent reviews on Yelp along with a five-star rating. Customers have praised the friendly service, tasty gyros, falafel platters and fries with feta – just make sure you leave enough space for the homemade baklava. 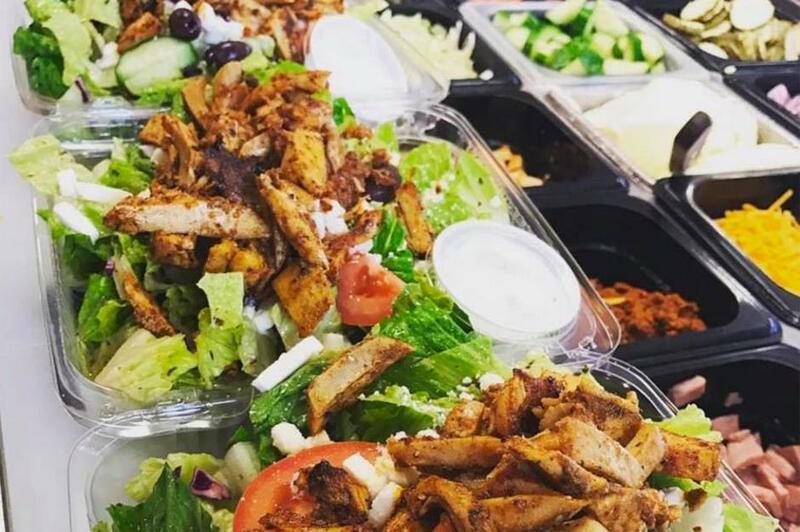 From stuffed grape leaves to crispy falafel, Marlena’s Mediterranean Deli serves a variety of fresh and colourful dishes inspired by Greek and Turkish cuisine. 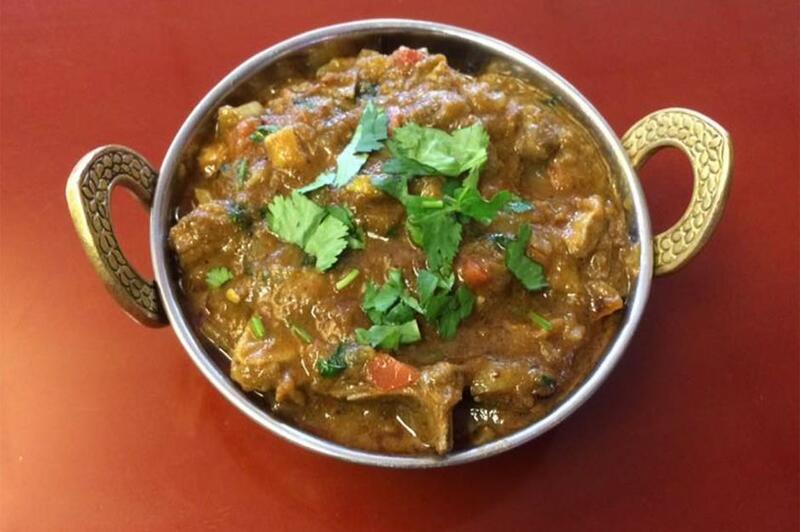 Located in Middletown, the venue has limited seating but is the perfect place to grab takeout. 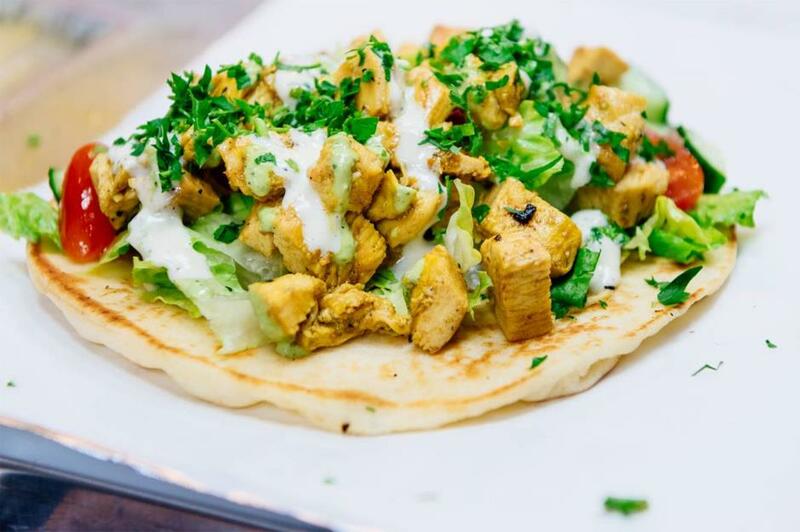 According to many Yelp reviewers, the chicken shawarma is a must-try. 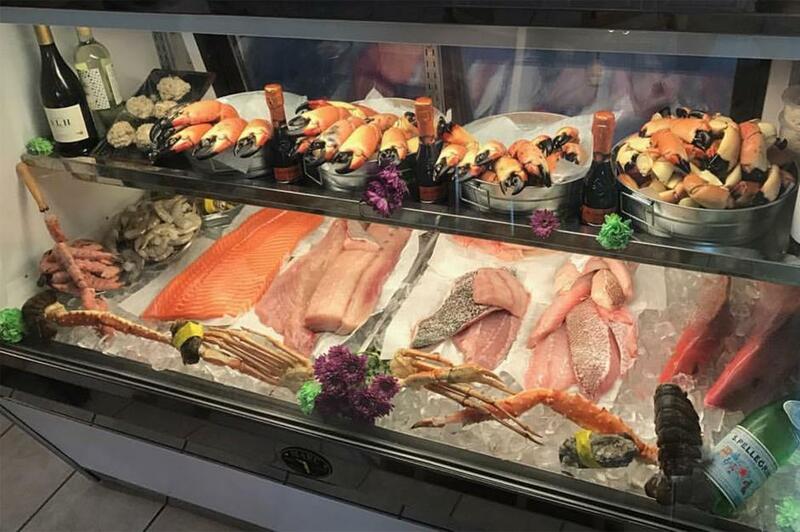 Seafood doesn't come much fresher than that served at Fresh Catch Fish Market & Grill in Sarasota. The family-owned restaurant offers a variety of dishes featuring oyster, crab, shrimp, lobster and snapper. Reviewers have praised the lobster rolls, grouper sandwiches and key lime pie. 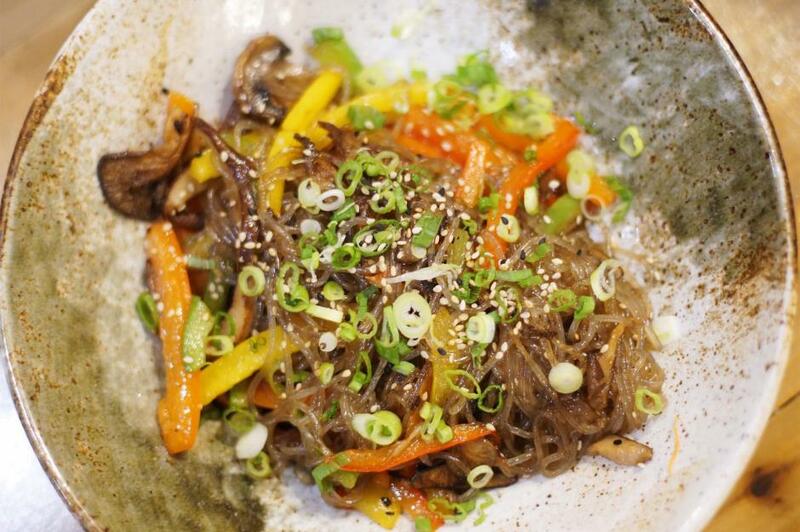 The Local Wood Fired Grill in Alpharetta is run by husband-and-wife team Danny and Diana Kim, whose menu combines flavours from around the world with locally sourced produce and hormone-free meat. Diverse dishes include fresh and colourful wraps, salads, falafel platters, chicken wings and pulled pork. Customers have praised the laidback atmosphere, the range of healthy options and the super-friendly staff. Franchise Tonkatsu Tamafuji was launched in Japan in 1952 and opened its first restaurant in Honolulu in February 2017. 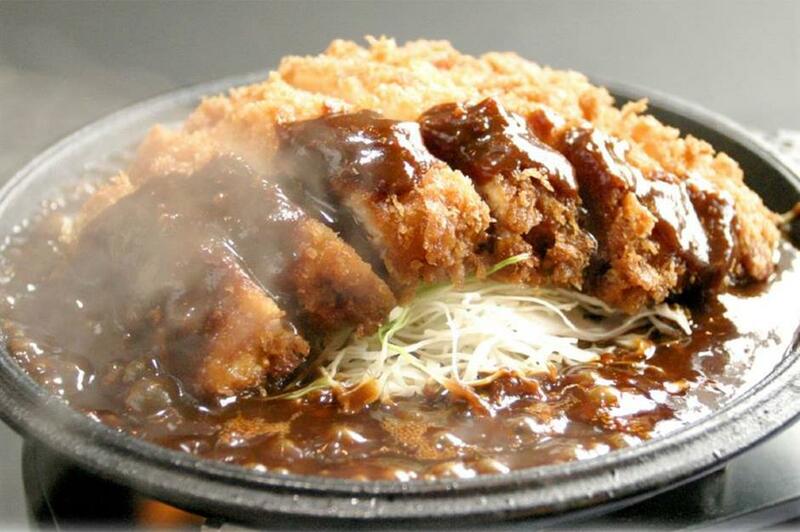 Customers love the traditional tonkatsu (breaded and deep-fried pork cutlets) and the katsu curries. Arrive early to avoid the long queues – and note it’s closed on Tuesdays. Sushi Sushi serves a wide range of sushi, sashimi, cut rolls, bento boxes, noodles and fried rice dishes. 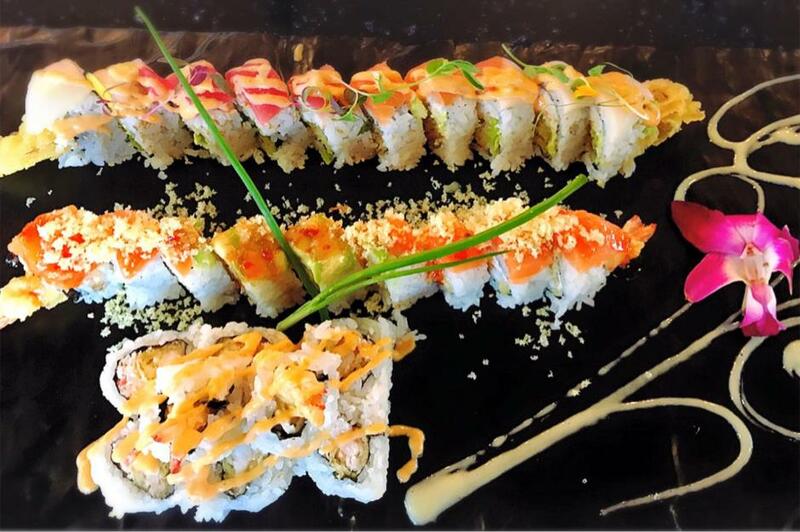 Praised on Yelp for ‘the best sushi in Nampa’ by one reviewer, they're becoming known for super-fresh ingredients, reasonable prices, excellent service and stunning presentation. Tucked away among the residential blocks of Avondale, Chicago, you’ll find this Argentinean-Italian restaurant. Established by chef José Rivers and his business partner Ricardo Caceres, the restaurant serves traditional dishes inspired by family recipes. Their steak sandwiches, strong coffee and homemade hot sauce have been impressing customers since they opened in April 2017. 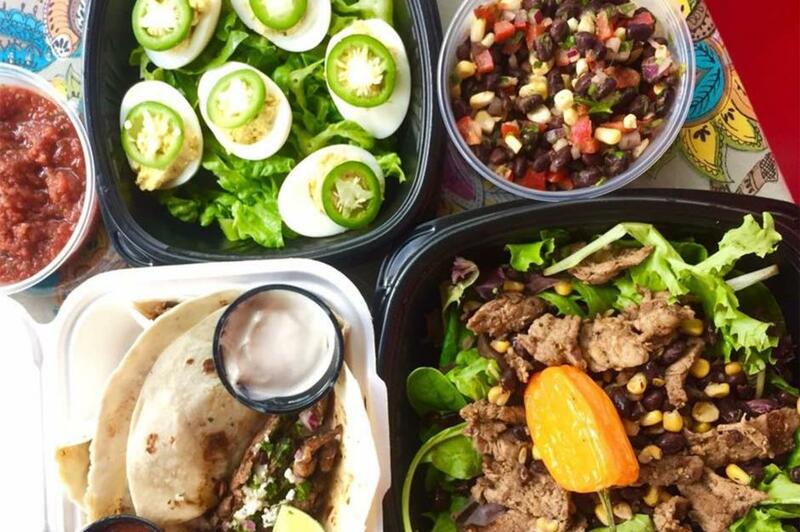 CoreLife Eatery is all about clean, healthy and great-tasting food. 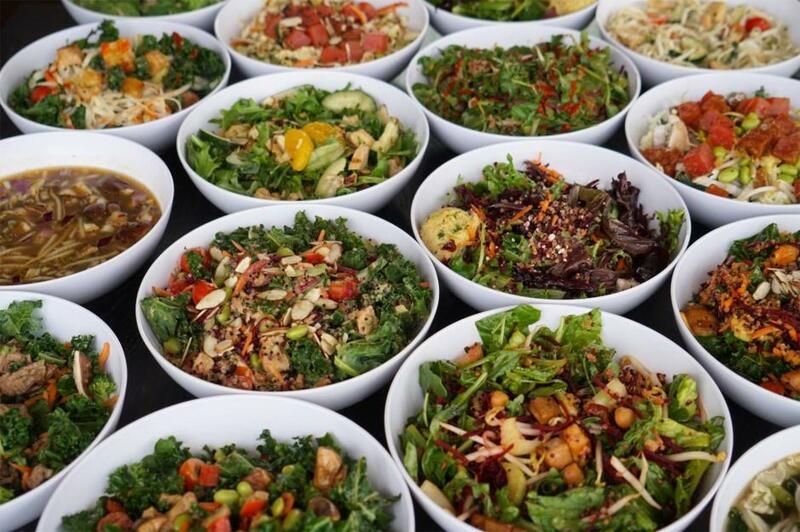 Responsibly sourced, organic and made from scratch, their dishes include nutritious grain bowls, green salads and broths with plenty of vegetarian options. The Indianapolis branch of this popular franchise opened in September 2017 and donated their first-day proceeds to the American Red Cross for hurricane relief. 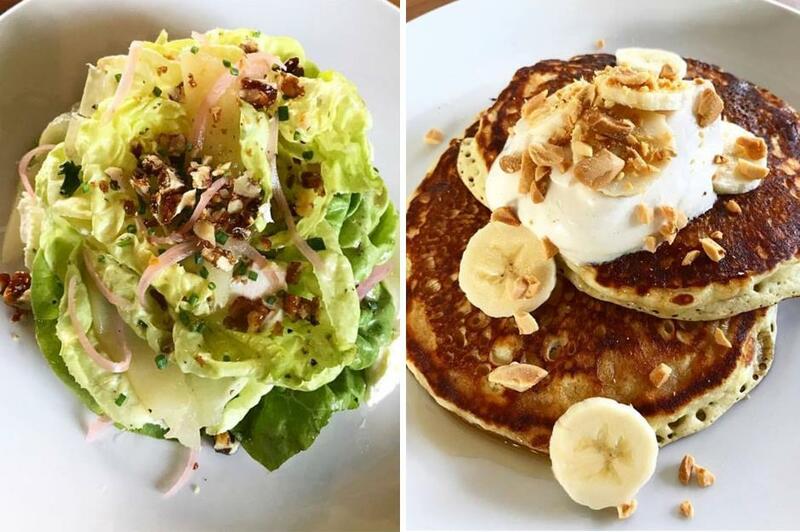 St. Kilda Cafe and Bakery was launched in May 2017 by Australian-raised, New-York restaurateur Alexander Hall, who spotted a gap in the market for a stylish, modern café offering healthy breakfasts and lunches. An instant success, the industrial-chic diner (located in a former Des Moines warehouse) offers artisan coffees, avocado on toast and shrimp burgers – along with hearty dinner options and cocktails. 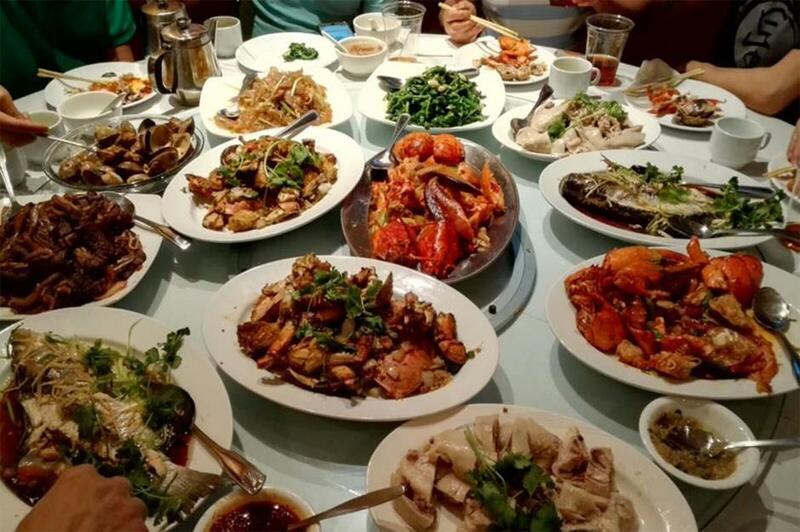 With an impressive five-star rating on Yelp, Hong Kong Star Restaurant in Olathe has gained great reviews since it launched in early 2017. Customers love the wide range of dishes, great service and reasonable prices. Online orders for collection and delivery are available – but note it's closed on Tuesdays. 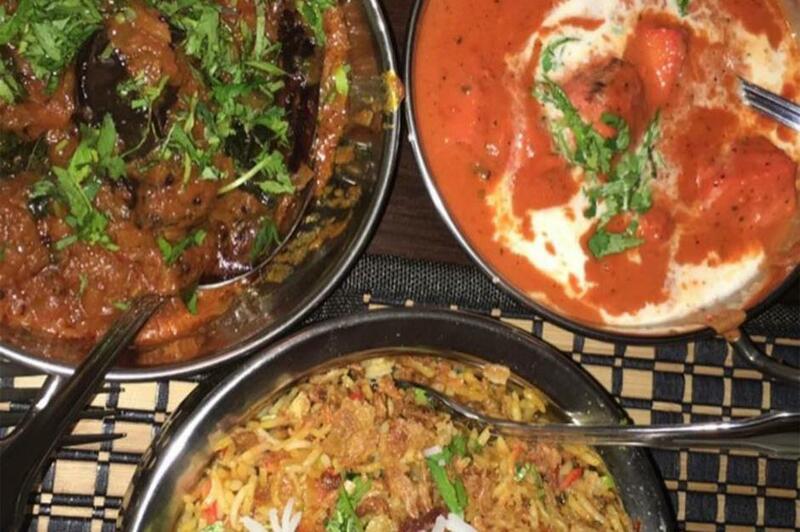 If you’ve never tried Himalayan or Nepalese food before, head to the Kathmandu Kitchen & Bar in Louisville. Popular dishes include the samosas and daal along with traditional Nepalese momo dumplings. Yelp reviewers have awarded the restaurant an impressive five stars and recommend the mutton biryani and chicken curry. Zorbas in Lafayette offers a tasty combination of traditional Greek dishes and all-American classics. Order a gyros pitta with tzatziki or indulge in a Philly cheesesteak. 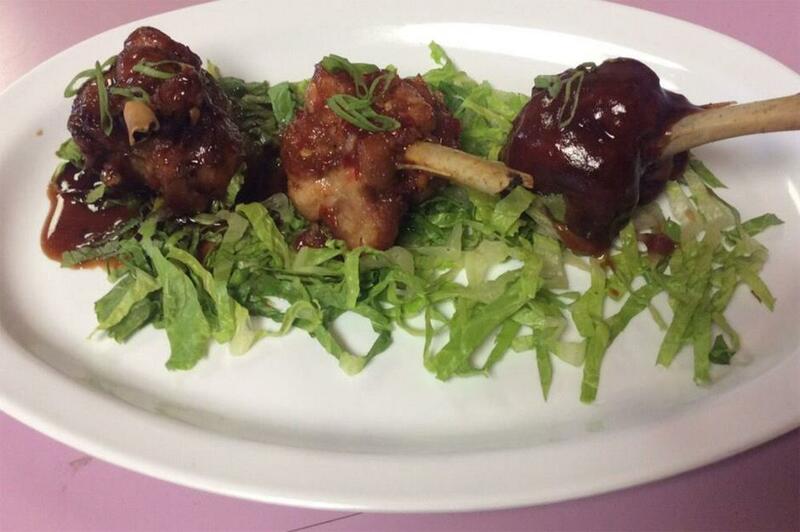 Whatever you chose, customers agree you’ll receive friendly service, super-fresh ingredients and generous portions. 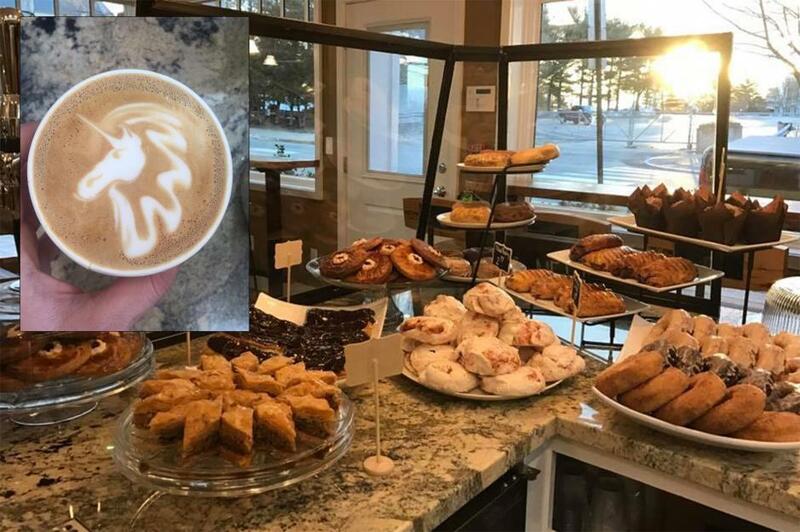 Coffee ME Up opened in Portland in January 2017 and instantly impressed customers with their quirky unicorn and kitten motif coffees, homemade pastries and cheese-melt breakfast sandwiches. They've gained a loyal following from customers who have praised the laidback atmosphere and friendly staff. This Vietnamese restaurant is located inside a grocery store in an industrial area of Baltimore. It might be off the beaten track, but it’s certainly worth seeking out. Specialities include the impressive hot pot (lẩu thập cẩm hay lẩu thai), which comes with a chicken or lemongrass broth. Customers praise its authentic flavours and excellent service. Note – it’s cash only. 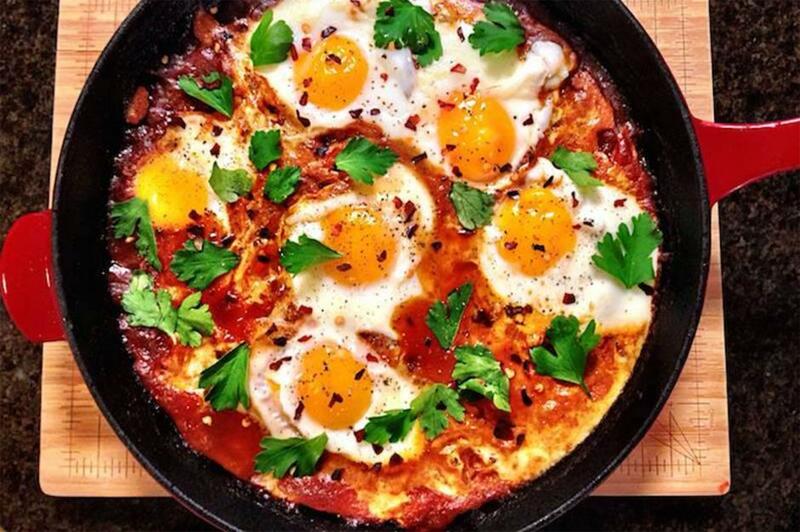 Promising ‘funky lunches, far-out dinners and fuel for the soul’, Roadworthy's menu has been inspired by street vendors and food trucks and is full of classic comfort dishes and snacks – including breakfast biscuits with eggs, homemade pastries, meatball subs and mac ‘n’ cheese. With five-stars on Yelp, the Dedham diner is a perfect pitstop. With a focus on farm-to-table ingredients, Tom and Stephen Tracey have been impressing customers in Munising since launching Tracey’s at the beginning of 2017. Their fine-dining recipes include braised bison gnocchi, mallard breast and white fish chowder. The restaurant is located at the Roam Inn boutique hotel, with booking highly recommended. 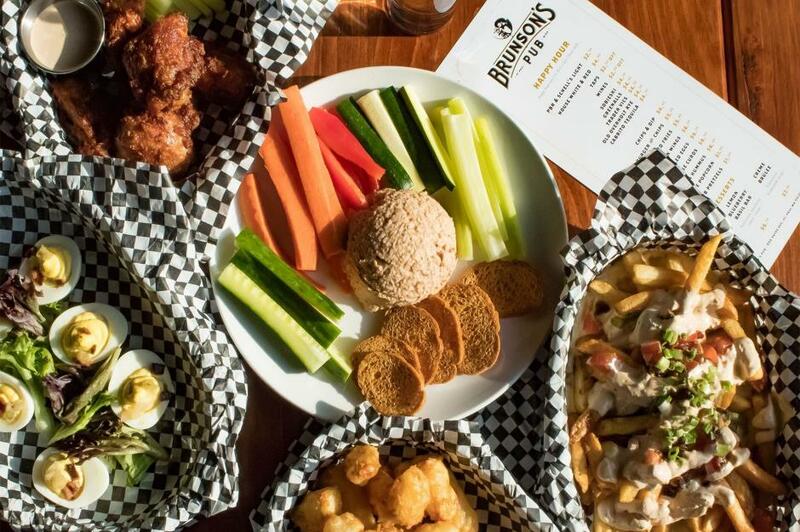 Brunson’s Pub in St Paul prides itself on serving delicious made-from-scratch dishes in a fun atmosphere at reasonable prices. Customers have praised the friendly, experienced staff, pulled pork BLTs and bacon mac ‘n’ cheese. The bar offers more than twenty craft beers, cocktails and wine. Ichiban Hibachi & Sushi is run by siblings Kam and Ling Ngai. 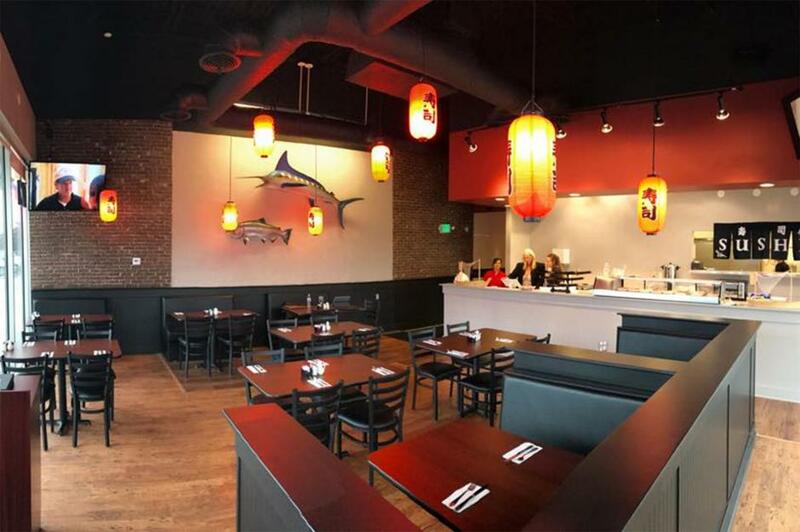 Located in Pearl, the sleek, modern restaurant offers a wide variety of sushi, sashimi, noodles, teriyaki, tempura and hibachi specials. Customers have awarded the venue five stars on Yelp and praised the super-cool surroundings, high-quality food and excellent service. 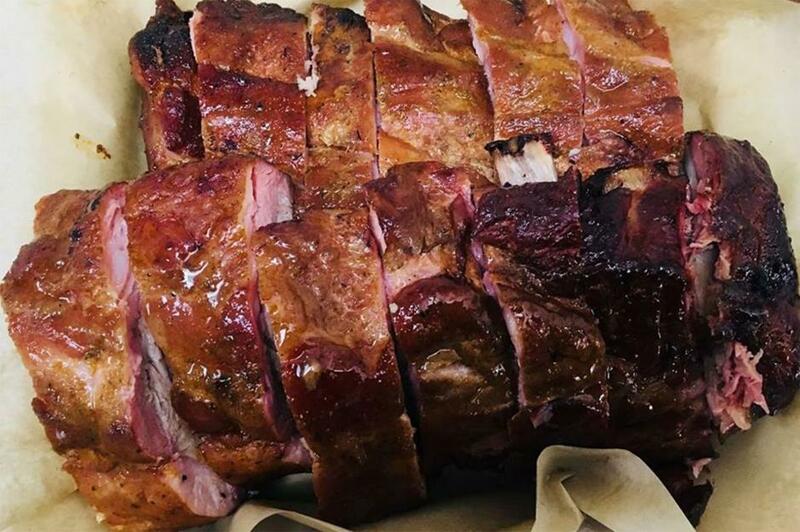 Gettin’ Basted is a paradise for BBQ-lovers and meat-eaters. Located inside the Starlite Theatre in Branson, they serve a hearty mix of burnt ends, pulled pork, smoked brisket, burgers, wings and mac ‘n’ cheese. Open since March 2017, the 1950s-style diner is decorated with black-and-white chequered floors, red vinyl booths and a fully-working vintage milkshake machine. The Horn & Cantle in Big Sky promises to deliver 'an authentic Montana culinary experience with a unique perspective'. 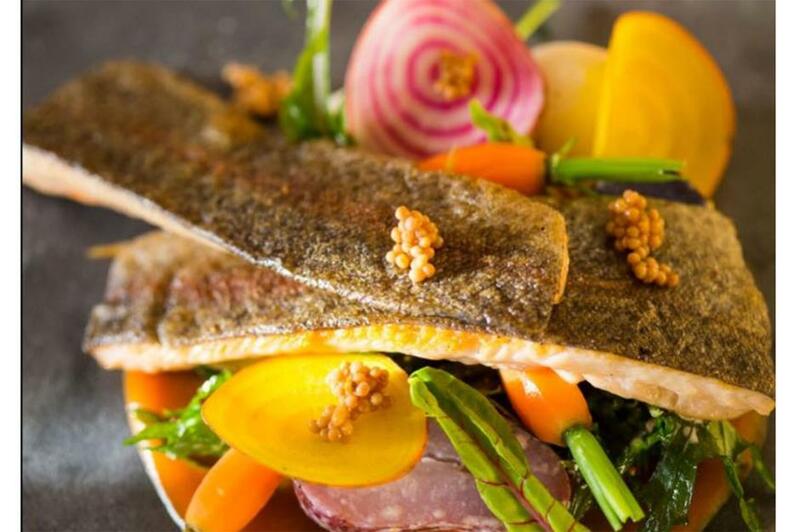 Classic recipes with a twist include the signature crispy-skin Montana rainbow trout with local root vegetables (pictured) and the coffee-rubbed Rocky Mountain elk chop. 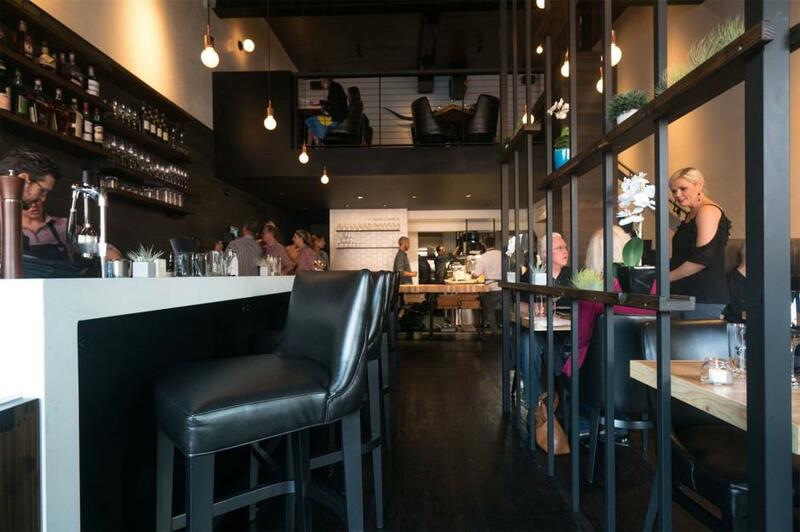 Yelp reviewers have complimented the laidback atmosphere and cosy decor. The Saddle Creek Breakfast Club has only been open a few months and it’s already been described on Yelp as ‘hands-down one of the best breakfast/brunch spots in Omaha’. Wooden floors, exposed pipework and metal chairs give the venue a modern feel – and the menu is full of appealing dishes such as poached-pear salad, banana pancakes with peanut butter whip (both pictured) and a wagyu patty on sourdough. Plenty of vegan options are also available. Serving fresh, brightly coloured Mediterranean food (fast) is the promise at HUMMUS in Henderson. 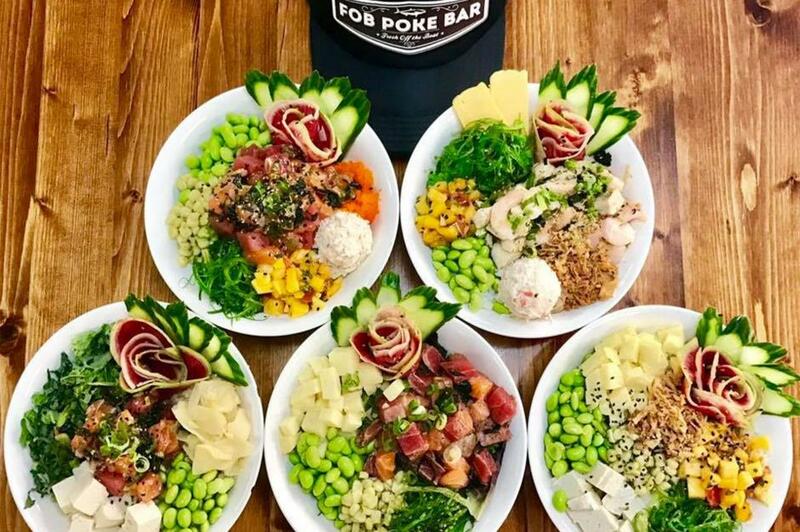 The socially conscious team have created a range of seasonally inspired bowls, salads, wraps and juices in a modern space – where you’ll find old movies projected on the walls. Founded in June 2017, the venue has a five-star rating on Yelp. 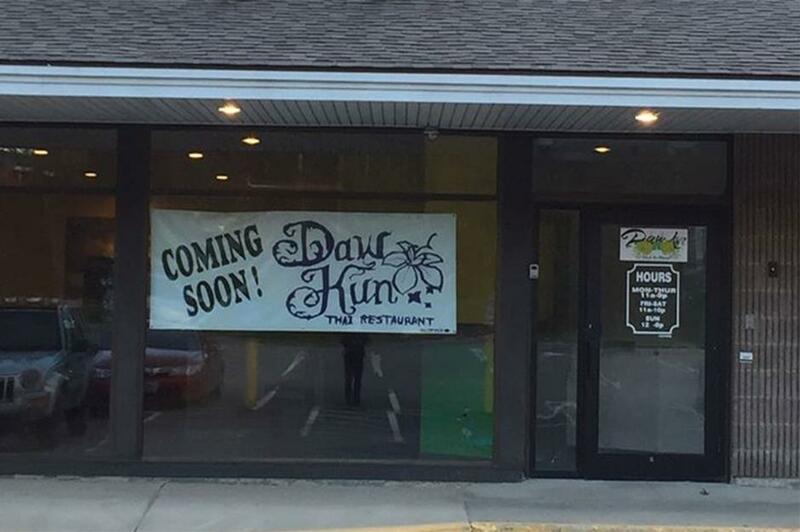 Daw Kun Thai is run by married couple Nipaporn and Desmond Holman, who moved to New Hampshire from Thailand in 2010. Convinced they could offer better Thai cuisine than anything they’d tried in Manchester, they opened their own restaurant in May 2017. Customers love the authentic dishes, which include fried rice and noodles, curries and classic pad Thai. 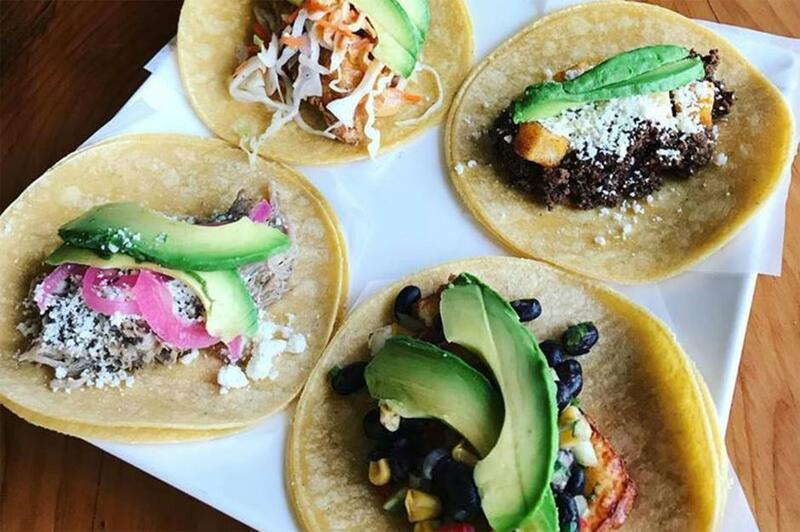 If you love Mexican food, this is the place to go in New Jersey – at any time of the day. 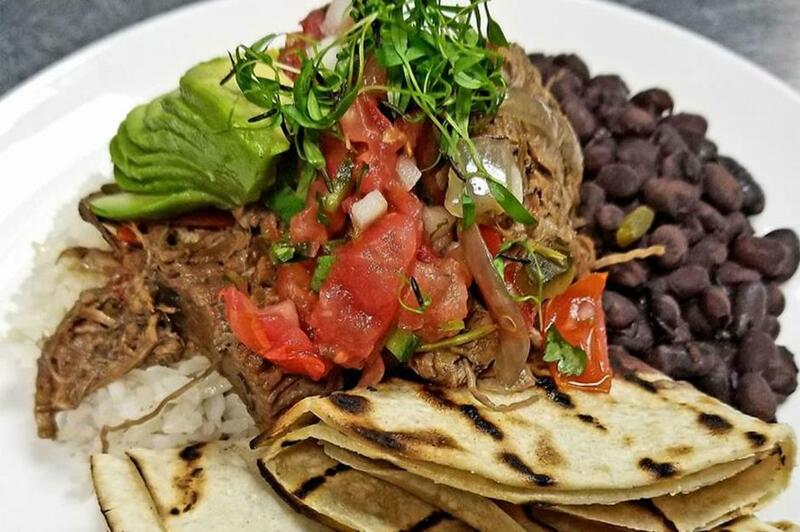 Family-owned Chanos Latin Kitchen in Pompton Lakes serves breakfast burritos and tacos until 1.30pm and an extensive menu of soups, salads, nachos, queso dips, rice bowls and quesadillas. For a spicy kick, there are more than ten salsas to choose from. 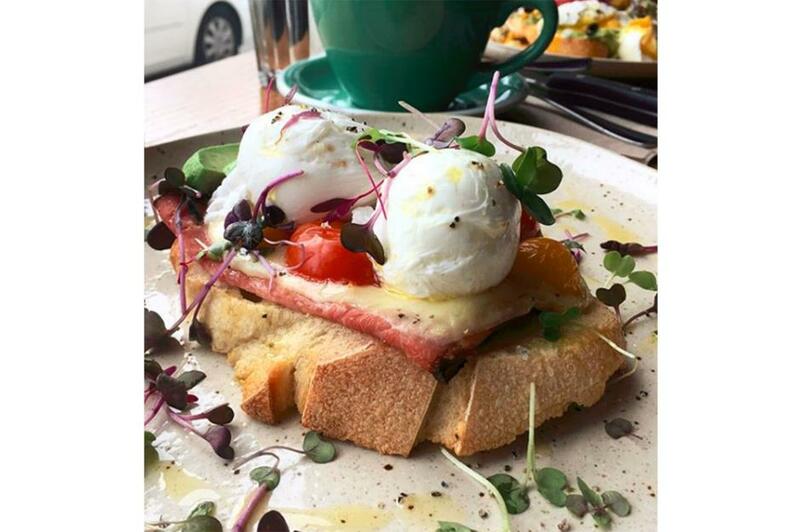 One Yelp reviewer describes Fresh Bistro as having such a comfortable atmosphere it’s like ‘having brunch at our grandma’s’. 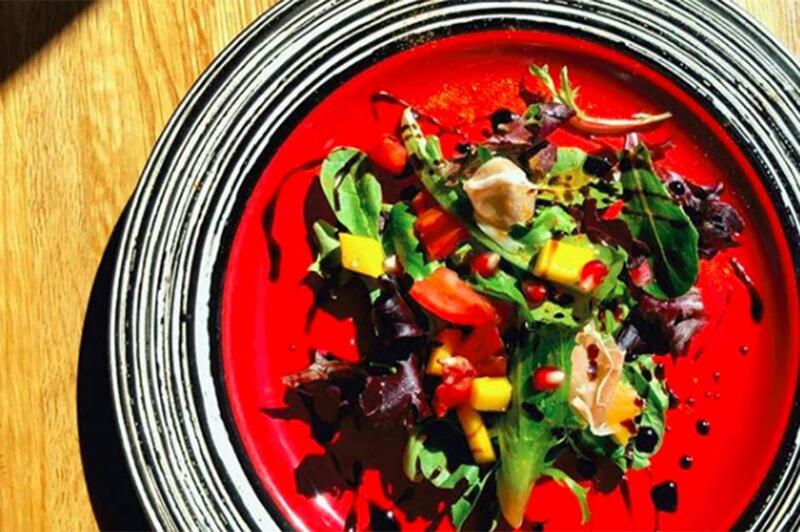 Tucked away in a quiet corner of Los Ranchos de Albuquerque, this quaint diner serves an eclectic menu including small plates of smoked duck and roasted artichoke, along with salads, tacos, and sweet and savoury crêpes. They also offer an intimate dining experience aboard their mobile 1955 Fagel Twin bus – reservations required. Being voted the #1 new restaurant in one of America’s most diverse and demanding cities is no mean feat. But with more than 115 reviews and five stars on Yelp, the honour goes to the family-owned Mughlai Grill – an Indian restaurant on the Lower East Side. Customers have raved about the super-friendly and helpful customer service, the low-key atmosphere and the authentic dishes. Executive chef and owner Sam Cahoon spent twelve years working in various local restaurants in Wilmington before launching Savorez. The menu is full of beautifully presented and colourful Latin-American seafood dishes including pan-fried flounder with coconut-braised greens and salsa, and jerk chicken with coconut rice, pineapple salsa and avocado. Yelp reviewers have raved about the cosy atmosphere and friendly service. Noodlezip gets the thumbs up from diners in Bismarck, with Yelp reviewers complimenting the fresh flavours, stir-fried noodles, Peking ribs, pho and reasonable prices. Open since July 2017, the restaurant also offers vegetarian and vegan options – but be warned it’s a small venue and seating is limited. Go early to avoid long wait times. 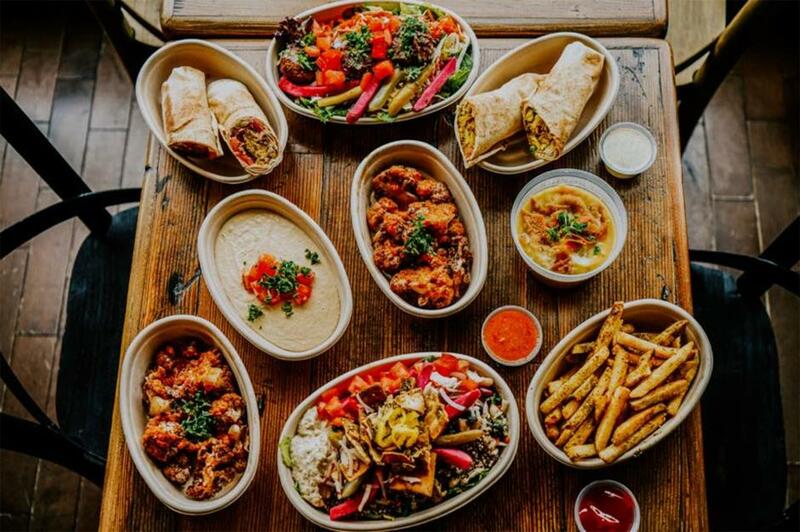 If you like to experiment with bold flavours, you’ll love the ‘build your own pita/bowl’ concept at this wholesome Mediterranean restaurant in Cleveland. Just chose a base of greens, rice and lentils along with beef shawarma or grilled chicken and top with hummus and other colourful extras including banana peppers and pickled turnip. Rolling Fork Takery offers a wide variety of New American cuisine, gourmet tacos and artisan sandwiches. Attention-grabbing menu items include the blueberry and goat's cheese stuffed dates and jalapeño-whiskey deviled eggs – but the less adventurous may prefer the cheesesteak sandwiches and Angus beef sliders. Located in Hochatown, the diner has five-stars on Yelp. 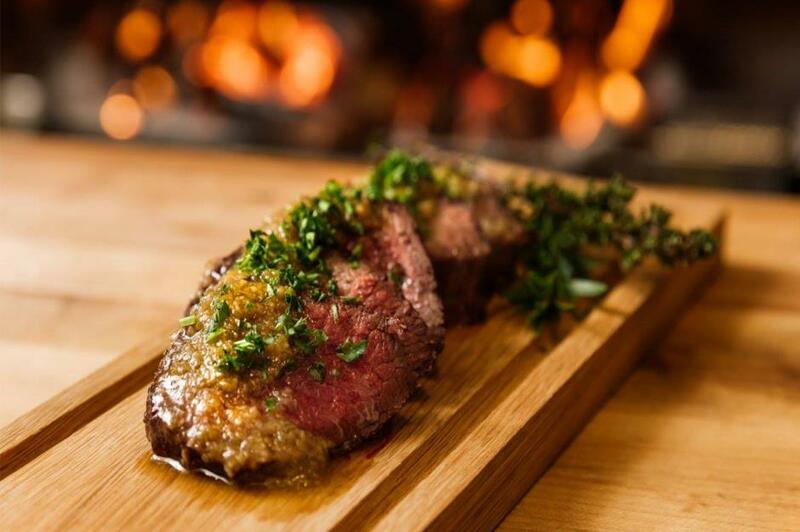 Located in the heart of downtown Bend, Bos Taurus describes itself as a ‘boutique, chef-driven American steakhouse’ committed to sourcing the highest-quality beef from around the world. Along with wagyu and Angus beef steaks, you’ll find foie gras, lamb rack and line-caught Pacific cod on the menu. 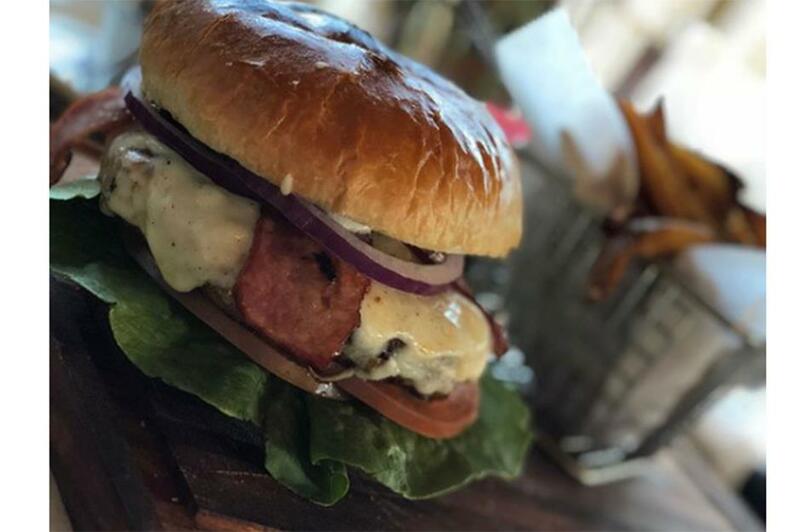 Yelp reviewers have raved about the stylish yet unpretentious surroundings, excellent customer service and phenomenal food. 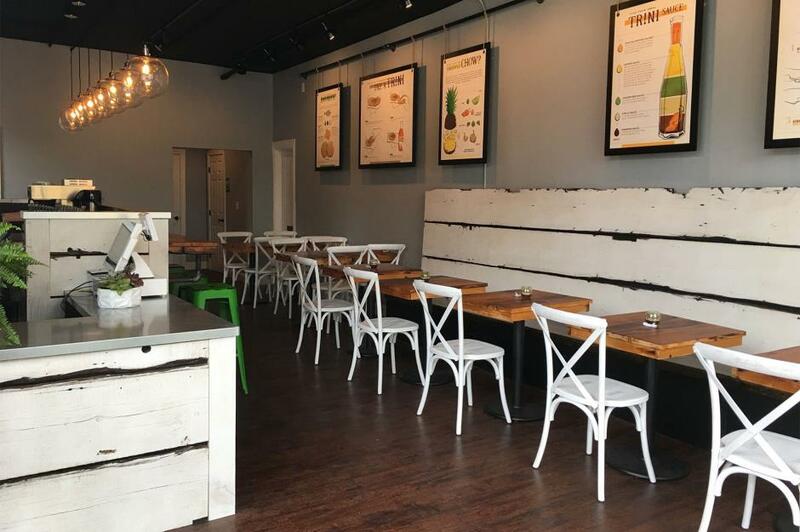 The Callaloo Trinidadian Kitchen in Lancaster was founded by Amos Kinert, who grew up in the city, and his wife Amanda who hails from Trinidad. The couple moved their family from the Caribbean island a few years ago (bringing years of culinary experience with them) and set up Callaloo. With five-stars on Yelp, their popular dishes include jerk chicken, curried shrimp and their signature coconut bread pudding. Haitian restaurant Garden of Eve serves a variety of Caribbean favourites including goat stew, oxtail, jerk chicken, plantain and rice with beans. Located in Providence, the diner has received glowing reviews on Yelp, where customers have praised its authenticity, reasonable prices and service. The fried pork, curry chicken and pikliz – a Haitian pickled slaw – come highly recommended. Steven Niketas opened the doors to his second branch of Stella’s in Charleston at the start of 2017. 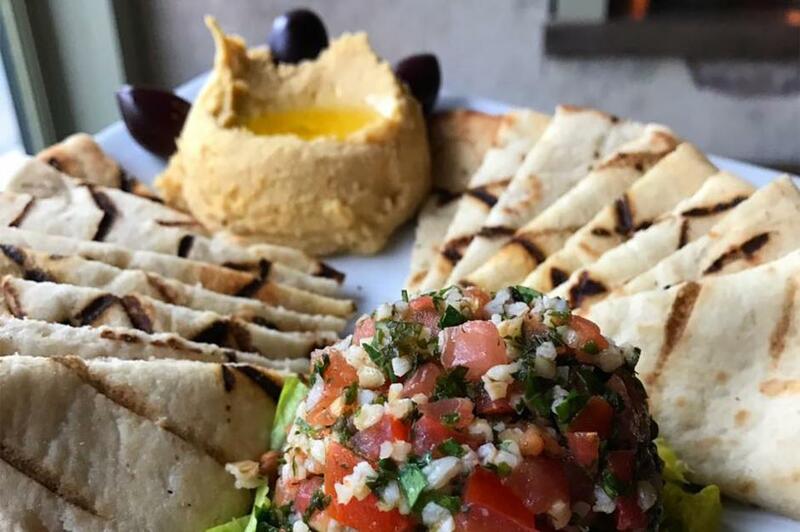 The Greek restaurant, named after Steven’s mother, serves all the classics – including grilled halloumi, moussaka, hummus with tabouli (pictured) and keftedas (Stella’s homemade beef and lamb meatballs). The venue has five stars on Yelp, where customers have complimented the octopus and zucchini fritters. 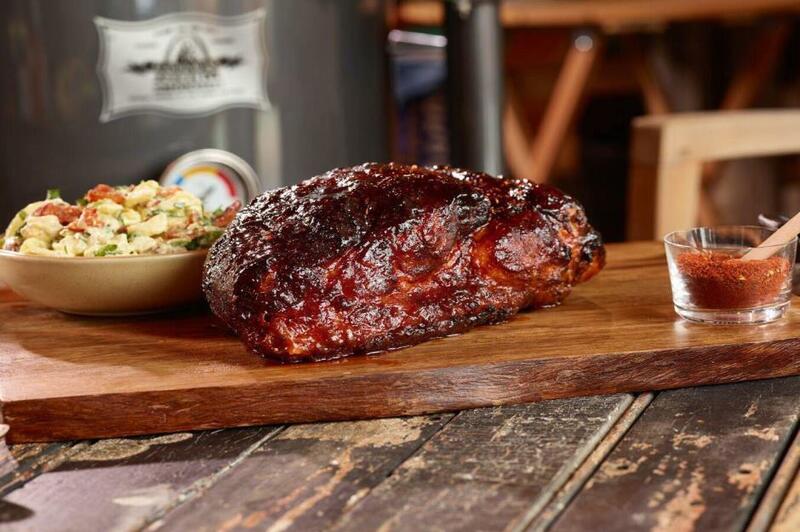 Mike and Elena Russell have been taking part in BBQ competitions since 2009. So they had plenty of experience before opening their quick-service diner Dakota BBQ in 2017. Located in downtown Custer, among the stunning Black Hills, they serve a limited menu from 11am until they sell out. Their 'quality not quantity' approach has earned them a five-star rating on Yelp, where diners have praised the pulled pork, spicy BBQ sauce and friendly service. 'Korean BBQ in a cup' is the tagline for this modest restaurant, hidden away behind a gas station in Murfreesboro. Along with sushi, spicy crab, kimchi and gyoza dumplings, the diner specialises in rice bowls topped with spicy bulgogi (BBQ beef), chicken katsu and seafood. Yelp reviewers have enjoyed the quick service and friendly staff. 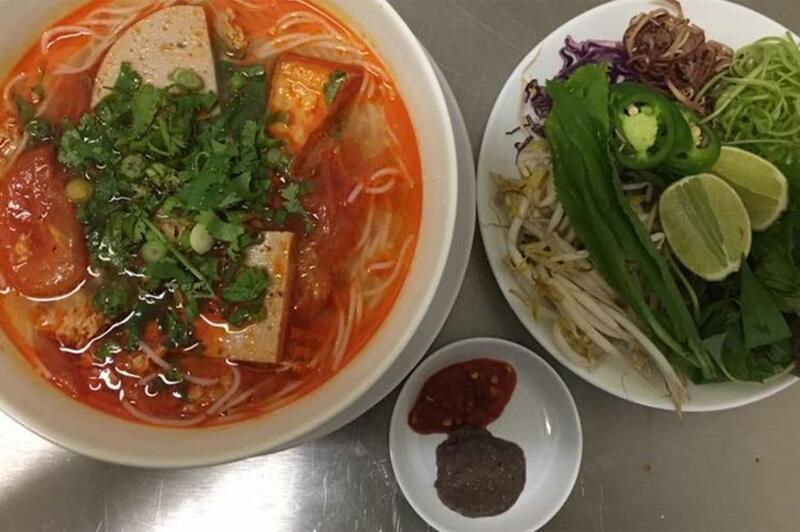 El Paso cuisine may be traditionally associated with burritos and fajitas but this family-owned Vietnamese diner is the top-rated restaurant to have opened in the area in 2017. 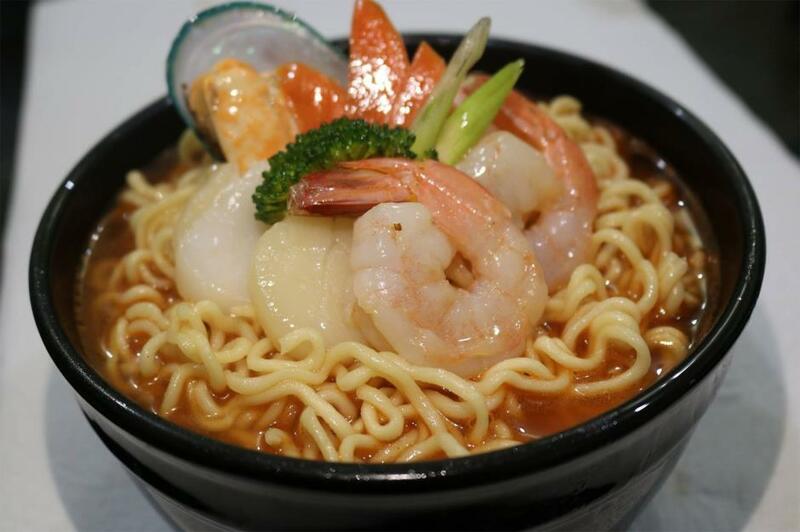 They offer a wide variety of authentic recipes including pho, egg noodles with BBQ pork, shrimp and eggs, and rice vermicelli with charbroiled beef. Many Yelp reviewers have promised to return – and have complimented the service and fresh ingredients. 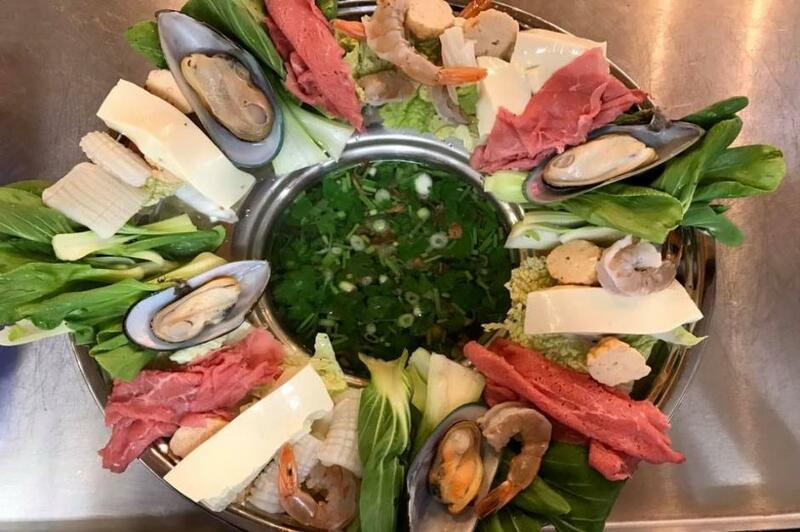 Chopfuku Sushi Bar and Asian Cuisine offers a modern take on Japanese, Thai and Vietnamese cuisine, led by master chef Chris Dang – who has forty years of experience. 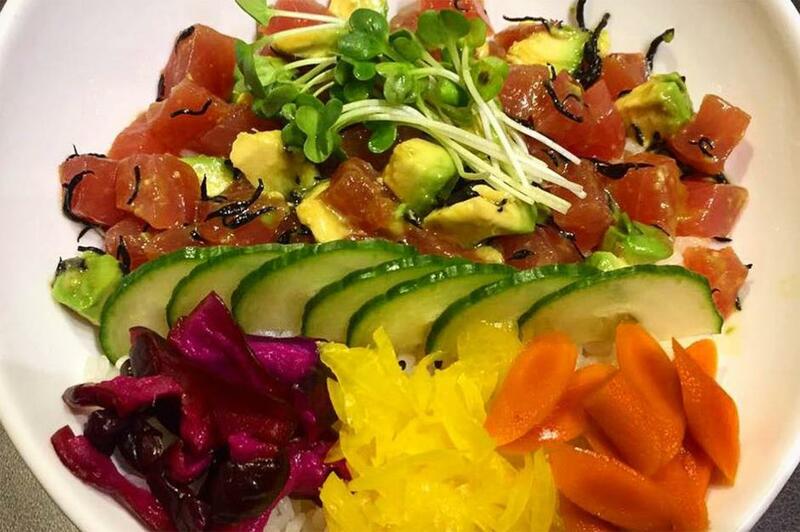 Located in Taylorsville, the restaurant serves a variety of beautifully presented and colourful classics, including sashimi, tempura, gyoza and bento boxes. As the name would suggest, the North Country General is more than just a restaurant. 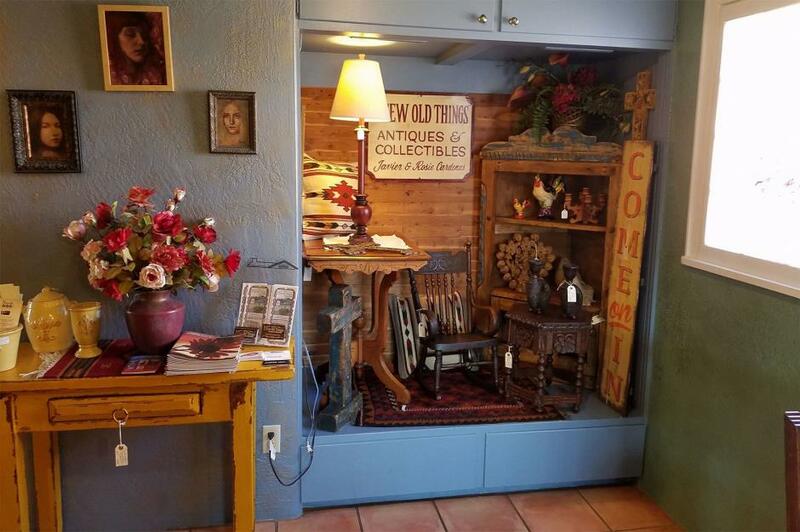 The family-owned business offers a range of carefully curated vintage homewares, clothes and curiosities, an impressive wine selection and more than twenty craft beers. 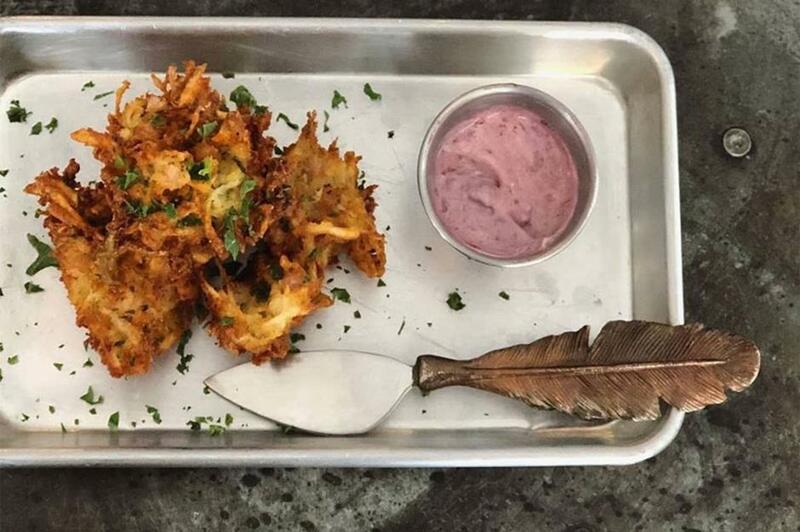 Located in historic Jamaica, the venue serves made-to-order breakfasts, burgers and flatbreads along with dishes such as kimchi latkes with blackcurrant crème fraîche (pictured). Described as a ‘must-try’ on Yelp, they have a five-star rating. Italian restaurant Tortino Mare in Manassas Park is committed to serving 'honest and homemade' food. 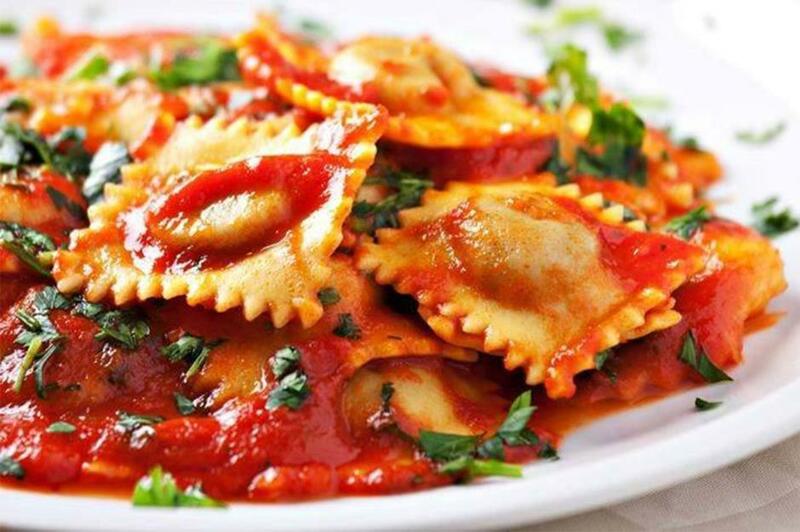 Fresh pasta dishes include ravioli and linguini frutti di mare with mussels, clams, shrimps and scallops – and you’ll also find gourmet pizzas, lamb meatballs and salmon grigliato on the menu. Yelp reviewers praise the lobster bisque, fruit pannacotta and grilled chicken. 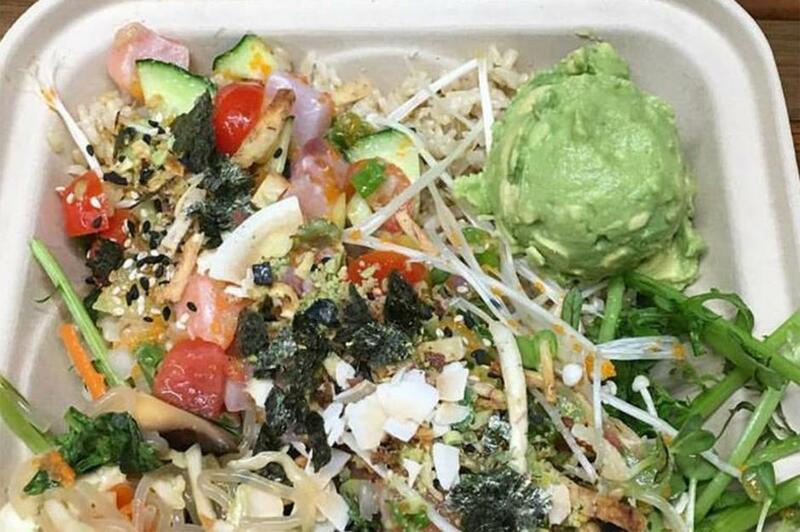 At this Hawaiian salad bar you build your own dish from a wide range of fresh and healthy ingredients, including coconut and jasmine infused rice, octopus, spicy tuna, seaweed, kale, mango sauce and edamame. 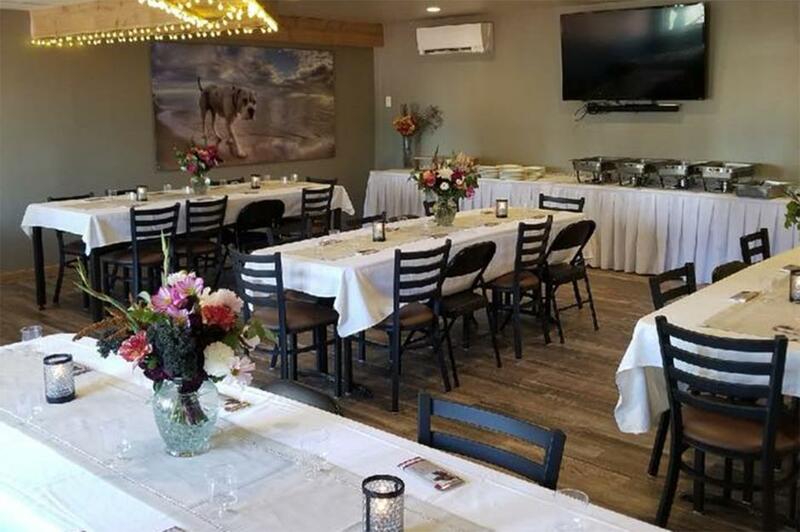 Located in Seattle, the venue has a five-star rating with more than 400 reviews, many praising the great value, friendly staff and generous portions. 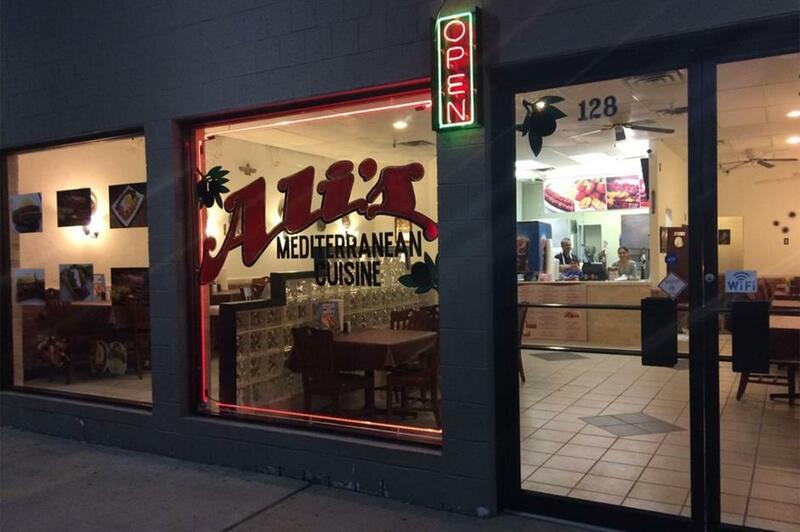 According to the reviews on Yelp, this is the place to go for Mediterranean food in Bridgeport. Customers have raved about the hummus, chicken gyros and steak kebabs – along with the quick service and large portions. 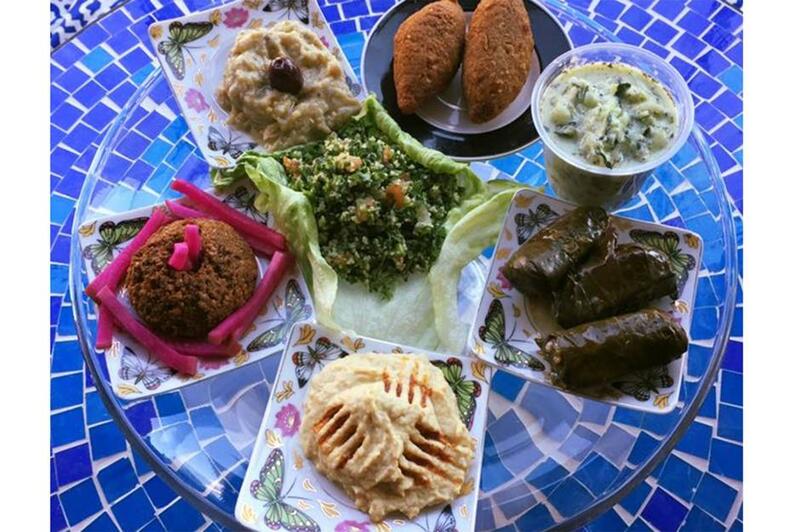 The menu also includes falafel, beef shawarma, Greek salad and baklava. Santino’s Little Italy in Milwaukee offers traditional Neapolitan pizza and comforting pasta dishes in super-stylish surroundings. Open since January 2017, the rustic New York-style bar has already gained a loyal following. Yelp reviewers praise the cosy atmosphere, attentive service and top-notch pizza. With limited seating, booking is recommended. For high-end Italian classics in sophisticated surroundings, head to Glorietta Trattoria in Jackson. This beautifully decorated venue features wood-panelled walls and a large wood-burning grill at its centre. Specialities include homemade pasta dishes along with mussels, meatballs and steaks, plus there's an extensive wine list.